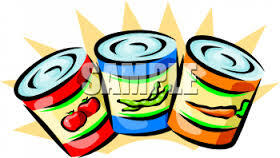 New research shows that chemicals in the lining of food cans end up in your body. (Collective Evolution) German researchers have discovered endocrine disrupting chemicals (EDCs), that could adversely affect development and reproduction, to be contained in 18 different bottled water products(1). 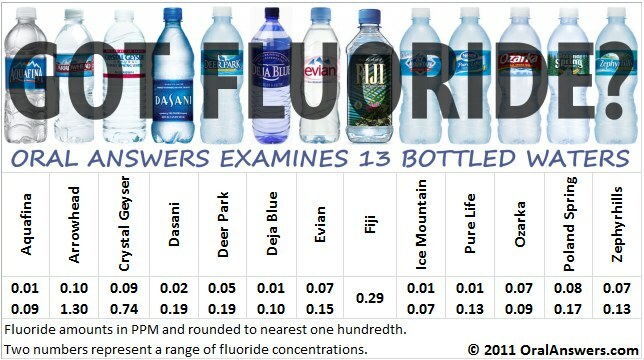 Of the 24,520 suspect chemicals found to be present in bottled water, the one that showed consistent results and illustrated anti-androgenic and anti-estrogenic activity is di(2-ethylhexyl) fumarate (DEHF). Endocrine disruptors are chemicals that can interfere with the hormone system, they can cause cancerous tumors, birth defects, cardiovascular disorders, metabolic disorders and as mentioned earlier, other developmental disorders(1). The authors employed a sensitive in vitro bioassay to characterize the total estrogenic burden leaching from plastics, including potential mixture effects and unidentified EDCs. Using a similar approach, a series of studies reported a widespread estrogenic contamination of commercially available bottled water. Here, we combine biological and chemical analysis to identify putative steroid receptor antagonists in bottled water. Most of the products were potently antiestrogenic and antiandrogenic in the bioassays. Nontarget high-resolution mass spectrometry pointed towards maleate and fumarate isomers as promising candidates and subsequently enabled the identification of di(2-ethylhexyl) fumarate. Because its concentration is too low to explain the observed activity, other compounds must contribute. However, further maleate/fumarate isomers are not only biologically active but structurally highly similar to phthalates. Hence, we speculate these compounds might represent a novel, so far overlooked group of EDCs. An increasing number of in vitro studies reports the presence of EDCs in bottled water. With previous studies focusing on estrogenicity, the present work provides evidence for an additional contamination with steroid receptor antagonists. We detected antiestrogens and antiandrogens in the majority of analyzed bottled water products. Moreover, the antagonist activity was very potent. An equivalent of 3.75 ml bottled water inhibited estrogen and androgen receptor by up to 60 and 90 percent. Bottled water from six different countries has been found to contain estrogenic, antiestrogenic, as well as androgenic, progestagenic, and glucocorticoid-like chemicals. This demonstrates that a popular beverage is contaminated with diverse-acting EDCs(1). Research shows that avoiding canned food, and foods packaged in plastic, leads to a significant drop in the levels of possibly harmful chemicals in your body. Lately, scientists have found that food packaging leaches everything from flame retardants to petroleum-based mineral oils into your food. And that's just in the stuff that comes wrapped in paper. It's long been known that foods wrapped in plastic or packaged in cans can leach chemicals like bisphenol A (BPA) and phthalates (plasticizers that keep cling wraps and other plastics flexible), both of which are endocrine disruptors, chemicals that interfere with your body's reproductive hormones. However, just how much of all those chemicals actually get from your food into your body has never really been clear. Researchers from the Silent Spring Institute, a nonprofit devoted to studying chemicals in our environment that have been linked to breast cancer, for the first time looked at how much BPA and phthalates we actually ingest from foods wrapped in plastics. By putting families on a strict diet free of canned food (cans are lined with an epoxy resin made with BPA) and any foods wrapped, stored, or cooked in plastic, they were able to measure the exact reductions of those chemicals in people's bodies—and, not surprisingly, found that people who avoid packaged foods have fewer chemicals in their bodies. "The good news is that now we have an estimate of how much food packaging contributes to our overall exposure," says Ruthann Rudel, director of research at the Silent Spring Institute. "And we know how to significantly reduce our exposure—for many chemicals, we don't know that." The authors recruited five families (a total of 20 participants) to participate in the weeklong study, which began with a two-day "pre-intervention" phase during which each participant consumed the foods he or she would normally eat. After that came a three-day intervention phase, during which each person ate fresh (not canned or frozen) organic fruits and vegetables, grains, and meat prepared by a specially trained caterer, and packaged only in glass or stainless steel containers. In addition to the special meals, the participants were asked not to heat or cook food in plastics or use plastic coffee pots (they were asked to use French presses or ceramic drip coffeemakers instead, and not to visit cafés), and they were given stainless steel water bottles and food containers for taking lunch to school or work, if needed. The study ended with a three-day post-intervention phase, when they went back to their normal diets and methods of preparing food. Each night, the participants' urine was collected to measure metabolites of BPA, as well as DEHP, the phthalate most commonly used in PVC cling wraps, coffeepot tubing, and other plastic containers. Simply by avoiding the most obvious exposure sources, you can keep a lot of chemical additives out of your body. "I think that's what was most remarkable—how clear our results were," says Rudel. "Just by making some dietary changes that most people could make in their kitchens relatively easily, we were able to reduce BPA and DEHP by over half." The fact that they opted for organic food in the study could explain some of the reductions in DEHP levels, she adds. "Some phthalates are used as inert ingredients or surfactants in pesticide formulations," she says. While Rudel agrees that her study provides "clear evidence," as she put it, that food packaging is our major source of exposure to these two chemicals, she adds that more needs to be done to take them out of food processing altogether. "Some of [these chemicals] are introduced upstream," she says, "for instance, holding containers, milk-machine tubing, coffeemaker tubing. There are a lot of places where there are food-grade plastics that probably contain DEHP." Exposure levels that the Environmental Protection Agency and Food and Drug Administration have deemed safe don't reflect the current science on either chemical, she says, so it's hard to rely on government regulations to fix the problem. The upside is that studies like this one "will probably lead to more market pressure, from people preferring BPA-free and phthalate-free containers," she says. Organic food companies like Eden Organic and the seafood manufacturers Wild Planet and Vital Choice have already found BPA-free alternatives to traditional can linings (Eden uses BPA-free cans only for its canned beans). As far as everyday shopping now, however, Rudel says she focuses primarily on buying fresh foods and tries not to stress out about eliminating plastic or cans entirely from her cart. "I keep in mind that the science is still uncertain," she says, adding that not enough is known about the human health effects of BPA. "But the data available for DEHP and the other endocrine-disrupting phthalates raise a bigger flag for me," she says, citing what she calls very consistent animal evidence and human studies showing negative impacts on reproductive systems at common levels of exposure. • Fresh is best. BPA and phthalates can migrate from the linings of cans and plastic packaging into food and drinks. Opt for fresh or frozen instead of canned food as much as possible. • Cook more often. Studies have shown that people who eat more meals prepared outside the home have higher levels of BPA. To reduce your exposure, consider cooking more meals at home with fresh ingredients. When you do eat out, choose restaurants that use fresh ingredients. • Store food safely. Food and drinks stored in plastic cans collect chemicals from the containers, especially if the foods are fatty or acidic. Store your leftovers in glass or stainless steel instead of plastic. • Don’t microwave plastic. Warmer temperatures increase the rate of chemicals leaching into food and drinks. So use heat-resistant glass or ceramic containers when you microwave your food or heat it on the stove. The label “microwave safe” means safety for the container, not your health. • Brew the old-fashioned way. Automatic coffeemakers may have BPA and phthalates in their plastic containers and tubing. When you brew your coffee, consider using a French press to get your buzz without the BPA. • Take action. While we can each take steps to reduce our own exposure, it’s important to join with others to call for healthier food packaging for everyone. Breast Cancer Fund (www.breastcancerfund.org) and Safer Chemicals, Healthy Families (www.saferchemicals.org) are leading national efforts to get chemicals of concern out of food packaging and other products. Scientists from Nanjing University in China and the University of Florida have recentlycompleted a study on the effects of storing bottled water at 3 different temperatures: 39°F, 77°F, and 158°F to mimic the temperatures of a refrigerator, a standard room, and the inside of a car on a hot summer day. The researchers then checked the levels of two substances, antimony and bisphenol-A (BPA) after 1, 2, and 4 weeks at the respective temperatures. According to a 2009 study from Birmingham City University in the UK, antimony, a heavy metal, may play a role in lung, heart, and gastrointestinal diseases. BPA can mimic estrogen in the body and may have a correlation with liver and prostate cancer as well as migraines andmiscarriages. Don’t drink Bottled Water Left in Warm Temperature for Long time! Don’t drink the (warm) water, study says. A new study from the University of Michigan, published in the February edition of the Environmental Health Perspectives, is the first to report a direct and statistically significant link between the exposure of BPA and liver cancer. Caren Weinhouse, a doctoral student in the School of Public Health’s Department of Environmental Health Sciences, and her colleagues exposed female mice to varying levels of BPA that were equivalent to the levels of exposure that people would experience from plastics, the lining of food cans, cash register receipts, and paint. The highest level of exposure was 50 milligrams of BPA per kilogram of diet. The exposed female mice were then bread and their offspring were observed to have a 27% higher than normal rate of liver cancer and the development of cancerous lesions in their livers. The researchers also observed that male and female mice developed liver cancer at the same rate. Normally female mice and humans have a lower rate of liver cancer than males. The study also proved that free BPA, or BPA that is not bonded to another molecules) could be transferred to the fetus and produce a higher potential for liver cancer. Traditional 5-gallon plastic jugs are typically made from plastics that use BPA as a hardening agent. Previous studies have shown that the BPA may leach out of the plastic and into the drinking water. One way to make sure you aren’t accidentally consuming BPA? Switch to a bottleless water cooler! Bottled water costs substantially more than what comes from the tap but is not healthier for consumers, a study has suggested. Researchers found the bottled variety is subject to far less-stringent safety tests than tap water and is much more likely to be contaminated or become a source of infection. While tap water must be checked daily under a rigorous inspection regime, by contrast, bottled makers are only required to undertake monthly testing at source, it was claimed. Tap water also contains trace amounts of chlorine that prevent the spread of anything harmful such as bacterial infections, it was reported. But once filled and sealed, a bottle of water might remain in storage for months before it is sold and contains no disinfecting additives such as chlorine. After a bottle of water is opened it has no way of remaining sterile and so must be drunk within days. It can cost up to thousands more. “Water coming from U.K. taps is the most stringently-tested in the world,” said Prof Paul Younger, of Glasgow University. “People think there must be something wrong with tap water because it is so cheap and plentiful. But from a safety and price perspective, tap water is better for you. Prof Younger, the author of "Water: All That Matters," added to the Daily Mail: “There's certainly a greater chance you could find something harmful in bottled water than from your taps. It is estimated that Britons spend about £1.5 billion on bottled water each year. Experts say that we drink 33 litres of bottled water annually, whether ordinary mineral, fizzy, or 'purified' tap water”. Market researchers Mintel have found that almost a quarter of people who drink bottled water at home say they do so because they believe it is "better for them" than tap water. Sue Pennison of the Drinking Water Inspectorate, which audits household supplies, told the newspaper that out of more than four million samples of tap water last year, 99.96 percent passed strict standards. Most bottled water companies test their products on a daily basis. Natural bottled mineral water must come from an officially recognised underground spring, be bottled at source and cannot be treated or filtered. Spring water must also be bottled at source, but it can be treated or filtered. Sourced from rivers, boreholes and springs, tap water is treated and put into supply or held through storage reservoirs. From protective food can linings to eyeglasses to bullet-resistant security shields used by police officers, polycarbonate plastic and epoxy resins have been used for decades. Auto parts, building materials, safety equipment, medical supplies, and many other products depend on BPA. In recent years, a great deal of attention has focused on BPA as it is used to make materials that come in contact with food, which are approved by the U.S. Food and Drug Administration (FDA). In June of 2013, FDA updated its perspective on BPA, stating that “BPA is safe at the very low levels that occur in some foods” and “the use of BPA in food packaging and containers is safe.” It is important to note that scientific experts at FDA, and other regulatory bodies, review the full weight of the scientific evidence when making decisions about safety. Extensive scientific data about BPA is publicly available and provides consumers with a wealth of information about BPA safety, and helps put public confusion about BPA into perspective. The wide array of beneficial products made with BPA contributes to consumer safety and energy efficiency, and provides other environmental benefits. When consumers seek more information about the use of chemicals in everyday products it is important that they have access to scientific studies for their review, and they have quick access to what the scientific experts at government regulatory bodies have to say so that individual studies aren’t taken out of context, or so that outdated studies aren’t highlighted. BPA has been widely studied by researchers and government agencies around the world charged with protecting public health. Regulatory authorities worldwide, including the U.S. FDA, the European Food Safety Authority, Health Canada and others, have determined that BPA is safe for use in food contact applications at current exposure levels. BPA used in Polycarbonate PlasticThis lightweight, high-performance material has a unique balance of glass-like optical clarity, durability and shatter and heat resistance. It is used to make many valuable products such as 5 gallon water cooler bottles, food storage containers, airplane and automobile components, sports safety equipment and medical devices. Strong, durable, transparent and resistant to heat, polycarbonate plastic has been widely used for decades because of its outstanding performance characteristics. Read more. BPA used in Epoxy ResinsEpoxy resins, most of which are made from BPA, are essential to modern life, public health, efficient manufacturing and food safety. They are used in a wide array of consumer and industrial applications because of their toughness, strong adhesion, chemical resistance and other specialized properties. One of the most familiar uses of epoxy is the lining in food and beverage cans that protects the contents from the metal package and helps preserve food longer and prevent contamination. Prior to the use of can liners made with BPA, packaged food contamination was a serious public health problem, including bacteria growth and the spread of botulism. Beyond being used as food can liners, epoxy resins provide benefits to other consumer and industrial products including wind turbines, surfboards, and composite materials that create the foundation of your home. All of these products benefit from the durability provided by epoxy resins. Read more. Epoxy Food Can Linings Made with BPAGovernment regulatory bodies around the world have assessed the science on BPA and have determined that BPA is safe for use in food contact materials, including in coatings used in canned foods and beverages. Epoxy resins are used as protective coatings in most metal food and beverage containers so that the contents don’t come in contact with the metal container. These coatings help prevent corrosion and contamination, help avoid food spoilage, and provide a shelf life of two years or more. Although there are many different coating formulations, most depend on epoxy resins to make the formulation effective. BPA Safe Exposure LimitsA consumer would have to ingest more than 1,300 pounds of food and beverages in contact with polycarbonate plastic each day to exceed the Tolerable Daily Intake amount set by the European Food Safety Authority (EFSA) based on all available science on BPA. And, assuming a consumer ate nothing all day long but canned foods and beverages, he or she would still have to ingest more than 500 pounds of epoxy-lined canned food or beverages in a day to exceeded the Tolerable Daily Intake amount established by EFSA.